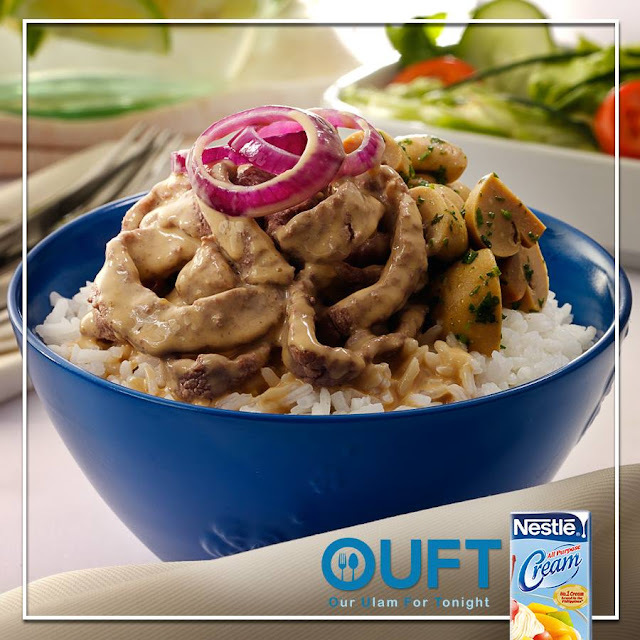 Enjoy a serving of this classic Filipino favorite and add in some Nestle All Purpose Cream for a creamier and richer finish! Want to try this for our ulam for tonight, Foodies? 1. Rub beef with Maggi Magic Sarap and Maggi Savor. Marinate for at least 20 minutes. 2. Heat oil and sauté onions for 2 minutes or until crisp tender, then set aside. 3. In the same pan, add marinated beef and pan-fry until brown. 4. Add back fried onions. Pour in Nestle All Purpose Cream and simmer for 5 minutes. Remove from heat and serve immediately.